Blair Leafey Dies In Crash On Boynton Beach Boulevard | Schuler, Halvorson, Weisser, Zoeller & Overbeck P.A. Blair Leafey, a motorcycle rider, died after colliding with a car, police say. 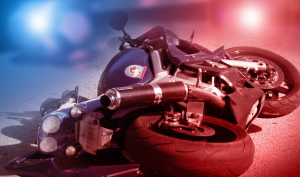 Blair Leafey, 37, was riding a 2014 Honda motorcycle west on West Boynton Beach Boulevard when the crash happened, according to Boynton Beach police. According to investigators, an 18-year-old Boynton Beach man was driving east in a 2010 Toyota Corolla. He didn’t see Leafey as he turned the car left to go north onto Northwest Second Street, police said. When the motorcycle and car collided, Leafey, who was wearing a helmet, was ejected. He was taken to Delray Medical Center but did not survive, police said. The other driver was not hurt in the crash. Police think another car had a role in the crash that killed Leafey, who lived in Boynton Beach. “It is believed that a gold or tan 4-door Honda Accord was also involved in the crash, but the driver fled the scene,” Boynton Beach police spokeswoman Stephanie Slater said. The car may have damage to its front driver’s side, she said. Police ask anyone who witnessed the crash or has information about the Honda Accord to contact Boynton Beach Police Traffic Homicide Investigator Chris Munro at 561-742-6112.